Genergy Australia operates a robust Health Safety, Environment and Quality (HSEQ) Management System which is overseen by Master Electricians Australia. The HSEQ System sets out the policies, organisation and practices to ensure compliance with AS/NZS ISO 9001, AS/NZS 4801 and AS/NZS ISO 14001. Genergy Australia has a strong sense of responsibility for the efficient performance of its work, strong commitment to the management and implementation of quality, safety and environmental practices, the meeting of customer needs and expectations, the welfare of workers and the community, and the protection of the environment. Our Safety Management System has been developed by leading industry safety experts and complies with the highest levels of electrical standards and safety. 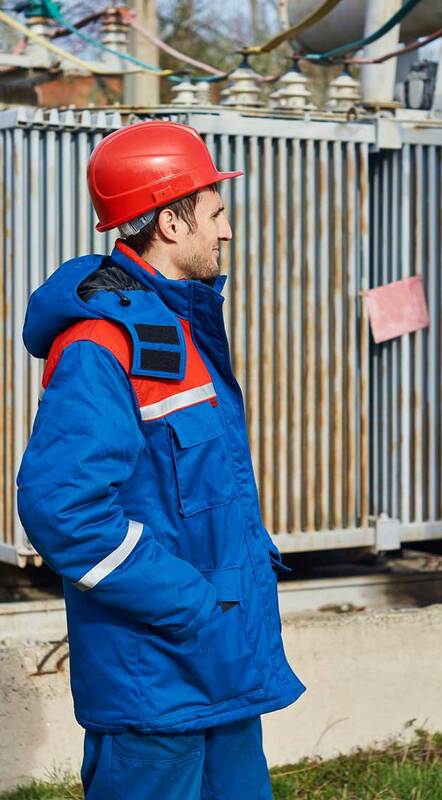 By implementing this program effectively, Genergy Australia ensures a safe environment for clients and staff through the delivery of best practice safety techniques. Genergy Australia maintains the competency and skills of our team so they understand the latest regulatory requirements. Safety Meetings are held for the team on a regular basis. Field Technicians complete a Genergy Induction which outlines our Safety Procedures and Policies and Field Technicians also complete CPR and Low Voltage Rescue Training on a yearly basis. Job Safety Environmental Analyses (JSEAs) are completed on our Field Tablets prior to each job commencing and Safe Work Method Statements (SWMS) for high risk activities are kept on hand and are updated yearly. Genergy Australia is committed to a policy of providing high quality services in a manner which will protect and improve the environment for all our activities. Genergy Australia works closely with our clients, contractors, the community, industry and external agencies to establish the controls by which we can make a positive contribution towards innovative and cost-effective and sustainable outcomes. To maintain a high level of quality Genergy Australia ensure that all work undertaken is achieved within the specified timeframe, and conforms to all regulatory and client requirements. Genergy Australia aims to create a culture where the team feel respected and valued which in turn results in the quality of their work being of a high level. Genergy Australia is a member of Master Electricians Australia. Genergy Australia is a member of Master Electricians Safety. All businesses that provide electrical work for others in Queensland must have an Electrical Contractor Licence. Genergy Australia’s maintains a current Electrical Contractor Licence number, number 57247. For further peace of mind all our Field Electricians hold current electrical licences. Genergy Australia is Cm3 Prequalified. Cm3 is an online prequalification assessment of a contractor’s health and safety management capability and has been developed to assist organisations meet their legislative duty of care to ensure contractors they engage have processes to safely conduct work. Cm3 gives organisations the assurance that the contractors they engage have an OHS management system that has been reviewed by qualified OHS specialists and enables organisations to have an understanding of a contractor’s occupational health and safety capability prior to them commencing work. CM3 is used by JLL, Colliers International, Stockland, Optus, Kmart, Coles, Transurban and more. For more information, Please Call us on 0732775655 (Press To Call) and one of our friendly expert team will be happy to help. Call Us on 3277 5655 to see what we can do to help you.